After a rather long rough journey; journey full of resistance and high determination from those privatizing and the workers who are to bear the brunt, power sector in Nigeria finally got privatized on the 1st of November, 2013. Decades of suffering by Nigerians, who cannot understand why this country still finds it so difficult to generate enough power to power its economy and make life meaningful for its citizens has actually made Nigerians become so desperate to get out of this anomaly. It is this desperate situation of the Nigerians that Nigerian ruling elite has conveniently exploited to carry out one of the biggest fraud in the history of this country under the guise of power sector privatization. With this privatization concluded, over twenty thousand workers still have their entitlement unpaid while their jobs already terminated. 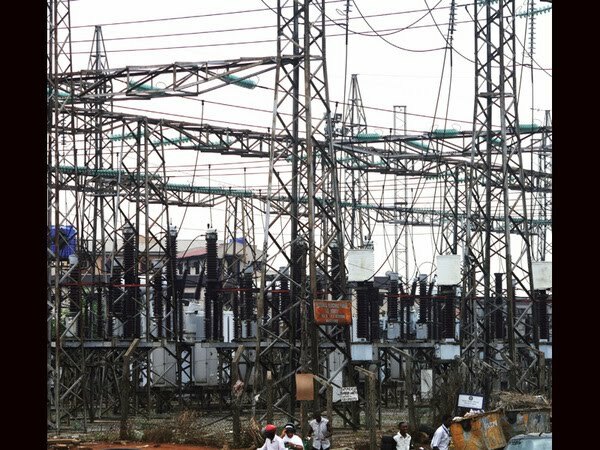 Five generating companies(Gencos), which collectively generates slightly over 3,000 MW of electricity and ten distribution companies (Discos) are now in the hand of the private business men and women, while the Transmission Company of Nigeria(TCN), the only transmission company still remain public. Another ten power generating plants under NIPP (Nigeria Integration Power Project) which are expected to collectively generate another 4,700MW of electricity, are to be privatized next year after their full completion. Under this current arrangement, the privately owned generating companies will sell directly to distribution companies, which finally get the power to end users; though the power will still have to go through publicly owned transmission network to get to distribution companies; the detail of how the services provided by Transmission Company will be paid for remain undisclosed. The total power being generated currently is only slightly above 3,000MW and only 35% of the population connected to national grid. The peak demand for electricity is approximately slightly above 18,000 MW, which means only 16% of the requirement is provided and the gap is filled with privately run power generators. The statistics becomes even more disheartening when we consider Electric power consumption (kWh per capita), which is 149(2011 figure) for Nigeria, comparing this to 4,694 for South Africa (2011 figure). Nigeria has one of the highest transmission losses in the world at 35%, this mainly because the average age of the transmission equipment is 30 years, the consequence of long neglect. The above figures give us the situation as it is today and as it is handed over to the private businesses. The question now is what has changed and will private ownership turns the situation around? Privatization and what to expect? At just a little above 3,000MW, the electricity supply is grossly inadequate as a social service, but now in the hand of private businesses, the amount of power being generated is enough to start business with. In the interest of profit, it is even more attractive to have supply falling too short of demand. It makes super-profit possible. Dangote and others, who bought these public utilities, will first fully satisfy the power need of their various companies before ever considering anything else. No businessman invests in a business without drawing up the balanced sheet, profit is prime motivator for capitalist investment. Astronomical increase in the tariff is an inevitable outcome of this privatization. As part of preparation towards this privatization, government introduced a policy known as Multi-Year Tariff Order (MYTO). The essence of this is to push up the tariff of electricity high enough to assure the private businesses that good profit can be squeezed out of desperate Nigerians. Already, Nigerians and small-scale businesses are already groaning under this policy, even before the actual privatization was concluded. Chairman of Kano State Polythene Bags Manufacturers Association, Alhaji Dalhatu Sanusi in a recent interview decried the ousting of over 200 small scale entrepreneurs from business in the Dakata industrial layout. Alhaji Dalhatu noted that, “from June 2012 when the fixed charge of N536 we were paying was jerked up by the PHCN to N104, 600, over 200 of our colleagues have closed their factories.”(Dailytrust Published on Wednesday, 11 September 2013). The new private owners have said time and time again that the real profitable pricing has not been met and the actual increment in tariff is yet to start. This means the actual attack has just begun and at the end of the day, we can only imagine how many small-scale industries will remain and how many Nigerians will be capable of enjoying the power. But, there is a little hurdle that the ruling elite and their pay masters will have to cross, people who are already connected and have been enjoying power for decades, will most likely not going to fold their arms and allow these profit mongers’ to permanently cut them off the national grid. This shows how serious the battle ahead will be. Despite the heroic battle fought by electricity workers, the planned privatization was still concluded, what else do we expect from these heroic men and women who fought tooth and nail, to defend their means of livelihood? Unfortunately, the heroic action of the rank and did not match up with clear and heroic leadership. Throughout the period of the battle, the workers’ union leadership only expressed their opposition to privatization, without putting forward an alternative to it. If we accept capitalism, we will be forced to accept all its evils. The leadership of the workers wanted a better and humane capitalism, but unfortunately, there is nothing like that. Capitalism is capitalism and if you want it, you have to desire all its attributes. One of its attribute is what we have seen. The only consistent way of ending privatization and saving our job and future is to end capitalism that is a system that only works on the basis of privatization. Equally unfortunate is the absence of support from the parent labour Organization (NLC/TUC) leadership, despite the fact that the secretary general of electricity union is also the vice chairman of NLC. This shows how rotten the reformist leadership of NLC has become. It will be completely naive of anyone to think the battle has ended. The crisis awaiting the private owners of our public utility will always bring this battle to the front and the workers will always be required to play their progressive role in this. Therefore, no matter how the issue goes now, our union must be preserved and be much more defended. As already stated above, the struggle against privatization can only be won as a struggle against capitalism.